Moving seamlessly between rough sanding and final sanding without switching sanders is easy when you own a Rotex RO 90 Multi-Mode Sander. It's design is nothing short of an engineering marvel. Use the aggressive action to quickly and efficiently remove wood, paint, or varnish. Switch to the fine setting for final finishing. With the RO 90 DX, add the ability to swap the round pad for a a triangular delta pad in seconds (no tools required) so you can reach deep into corners and tight crevices. Transform rough surfaces with startling power, stripping stubborn paints and other coatings. The aggressive mode delivers material removal like that of a grinder. Equip your Rotex with polishing pads, sponges, felts or sheepskin and get astonishing finishes that gleam with brilliance. Use the variable speed setting to dial in the perfect polishing speed for more delicate finishes. 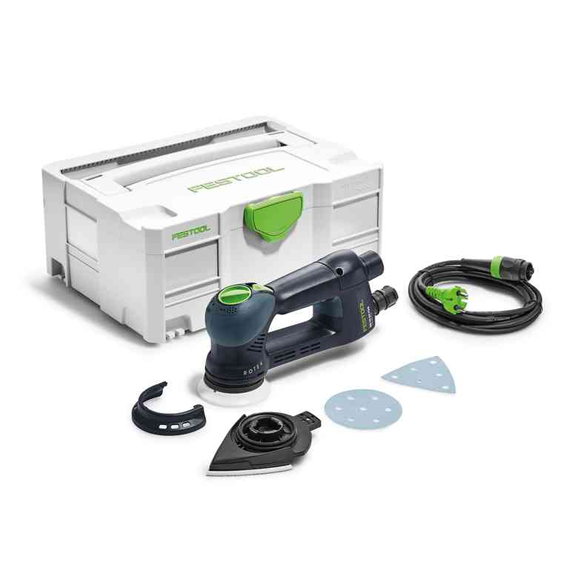 It will shave off hours of sanding, and you quickly and easily achieve astonishing results. The sander has a 400 Watt motor with a 90mm (3.5") pad and weighs 3.3 lbs. 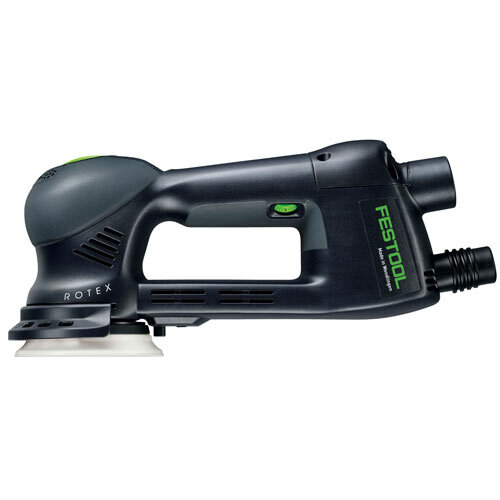 RO 90: Includes Sander; Round Head; Delta Head: Plug-It Cord: and comes in a T-LOC Sys 2 Systainer. Switching from aggressive gear mode to fine random orbit mode. Switching between round and delta pads.